In order to qualify to win one of these prizes via this contest giveaway, you must complete the below entry task by Saturday, March 3 at 10PM EST. However, the sooner you enter, the better chance you have of winning, because we will pick two winners on five different days within the contest period, via random drawings, as listed below… So if you don’t win the first week that you enter, you will still be eligible to win during the following weeks until the contest is over. 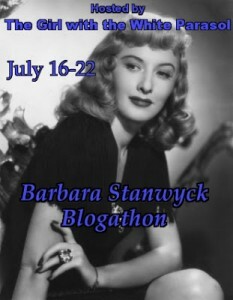 We will announce each week’s winner on Twitter @ClassicMovieHub (or this blog, depending how you entered), the day after each winner is picked at 10PM EST — for example, we will announce our first week’s winners on Sunday February 4 at 10PM EST. 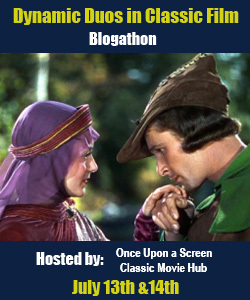 This entry was posted in Contests & Giveaways and tagged Kino Lorber. Bookmark the permalink. I would love to win A Farewell to Arms because I just finished reading it for my English class! I fell in love with Hemingway’s prose and would love to see it brought to life. It is such a compelling story about war that is just so real and raw. I do not have a Twitter account so I am posting the message here. Witness for the Prosecution seems like a sure thing! 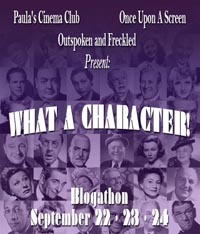 How can you go wrong with Billy Wilder adapting an Agatha Christie play starring Charles Laughton & Marlene Dietrich. I’m already intrigued by the mystery. Wow this is a tough one! I like them all! But Marty is my old standbye favorite so guess I need to go with that. Love the story and the cast! I’d like to win THE OX BOW INCIDENT, it’s so moving and thoughtful, about thinking before taking action, and the consequences of those actions. Sad that it’s still so timely too. Hi Mary, Haven’t found your tweet yet. Could you please confirm that you tweeted? Thanks! 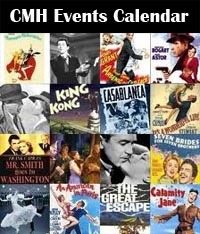 I would love to win a copy of Witness for the Prosecution (1957)! It is a brilliant film with great twists and turns all the way to the end. 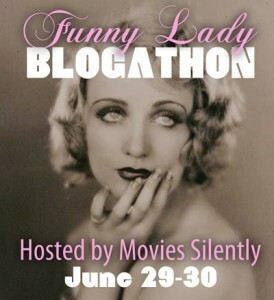 I love Marlene Dietrich, Laughton and Ty Power and most of all Billy Wilder!!! I would like to win the film Marty (1955) because the beautiful love story portrayed by Ernest Borgnine and Betsy Blair touched my heart when I first saw the film a couple of years ago. Also I like the performance of Esther Minciotti as Marty’s mother because she reminds me of my Mom. I would love to win “Marty,” because every time I watch that film, it’s as it’s the very first time. 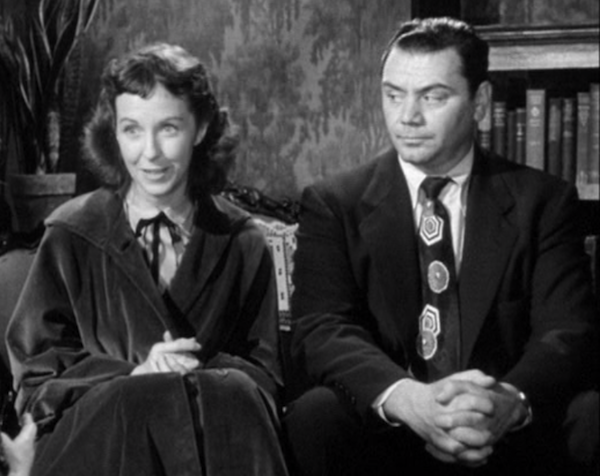 Ernest Borgnine and Betsy Blair give performances that are so tender, I’m always moved to tears. I would pick Witness for the Prosecution because I’ve never seen it and I’m trying to watch more Dietrich! All four of these are appealing! I’d choose THE OX-BOW INCIDENT as I read the book as a teenager but have never seen the movie. I guess I’ll go with A Farewell to Arms, the cinematography by Charles Lang must look SUPERB on Blu-ray. I’d pick Witness for the Prosecution (1957). Well, simply put, it’s one of my favorite movies of all time. It’s based off of Agatha Christie’s play, and Agatha Christie is my favorite author. Then the cast is phenomenal. Marlene Dietrich is one of my favorite actresses and people to ever live, and her performance deserved an Oscar. (She didn’t even get a nomination, how?) 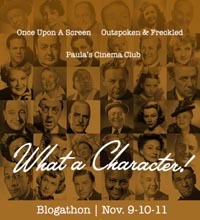 Charles Laughton in this film is one of my favorite of his roles. Elsa Lanchester adds some great comedic effect, especially in her scenes with Laughton. Of course Tyrone Power as the man being put on trial, his performance was terrific. This movie for me is perfect. Also this is just another example of Billy Wilder’s great work. I think I’ve mentioned it to every person I’ve met. I even did a oral presentation about Witness for the Prosecution (1957) for an English class assignment. The suspense, the plot, the acting, THE TWIST ENDING, could not have been done better. 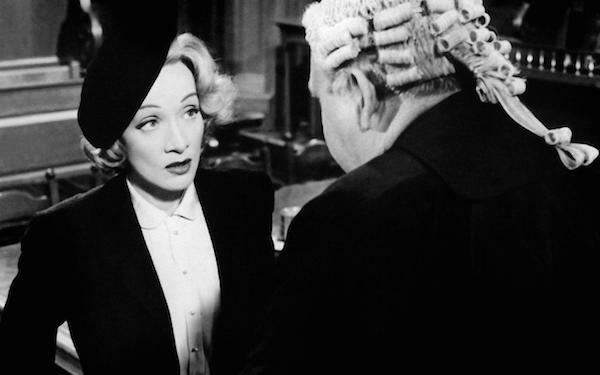 Witness for the Prosecution is Old Hollywood amazingness in one film. I would like to have Kino’s restoration of A FAREWELL TO ARMS. 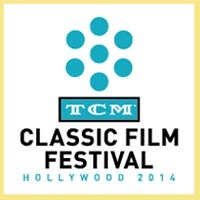 I saw a theatrical screening back in the 80’s of the original Paramount cut and would love to see this Blu-Ray of it. It’s a great Frank Borzage film, whose direction I have always enjoyed. I would love to win The Ox-Bow Incident, because it seems to be a film that is chillingly relevant now. Also, I have never seen it. I would like to win The Ox Bow Incident, as it may be the best Western that I don’t already own. My pick would be “Witness..” as it’s the one I’d want most to see of the three (already own “Marty”). Yet to be convinced of the Hemingway hype, and I find westerns to be a variable experience – narrows it down! You guys never ask the easy questions. 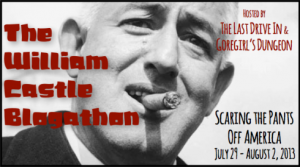 With sweat beading on my brow, I’d say Witness for the Prosecution just barely – barely! – beats out Marty. I’ve only seen the last half of Witness, and somehow never found myself in the same room with the first half! I’d like to win A Farewell to Arms because I haven’t seen it and I love Hemingway (and also because I already own Marty, one of my all-time faves)! Witness For The Prosecution, a tough choice, almost went Ox Bow. Ox Bow incident, cause Henry Fonda is the man and i have not seen this yet. Hi Bill, can’t seem to find your tweet. Please confirm that you tweeted. Thanks! Witness for the Prosecution. Dietrich and Laughton together was a great pairing, two powerful actors in a great story. I would love to win “Marty” because I am slowly but surely building a blu-ray collection of Best Picture winners and I don’t have that one yet! I think “Marty” is often one of the more forgotten winners of the coveted award, but I’ve heard nothing but great things about it! I would love to win Witness for the Prosecution! I’ve seen it before and was blown away from Laughton’s performance after seeing him (younger) in Mutiny on the Bounty. 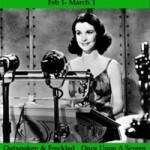 The film itself is splendid of course, because it has Billy Wilder’s name attached to it and that man can do no wrong. I would like to win “The Ox-Bow Incident” because I’ve heard it is one of the greatest Westerns and I have not seen the whole movie. Ox Bow Incident, a film where there really aren’t any good guys, different for a Western of that era. I would like to win Witness for the Prosecution because its one of my favorite films and features an incredible cast of actors and a well crafted twist and turn plot. Fingers crossed! While all four are among my favorites, I’d have to choose Witness for the Prosecution. It’s a film I can and have watched over and over again and it NEVER gets old. As someone else remarked, Billy Wilder directing his own adaptation of Agatha Christie starring Charles Laughton, Marlena Dietrich (in her best role since Destry Rides Again, imho) and Tyrone Power, not to mention a handful of some of the best British characters actors of the time (Henry Daniell, Una O’Connor, Norma Varden, John Williams and Ian Wolfe) – what’s not to love? Laughton and his wife, Elsa Lanchester, were always a great pair onscreen and they were brilliant here. I don’t have to tell Classic Movie Hub how terrific this movie is, but if you’re reading this and you have not yet seen it, remedy that as soon as possible! I would love to win the Ox Bow Incident. I am a huge fan of Henry Fonda as an actor and the Ox Box Incident explores the question of justice and mass fear in ways that continue to remain relevant. I would like to win either Marty or a farewell to arms. I’d like to give Marty a chance as it seems so charming! And A farewell to arms is a Cooper classic so it must be good! @flapperdame16 on twitter- for your convience! If I won I’d love Witness for the Prosecution, such a great film that I haven’t seen in years. This is the perfect opportunity to give it another watch! I guess I would pick Marty because Ernest Borgnine is in it & it’s a classic. All four of these amazing classic films stand the test of time, it’s a tough choice. I’d personally have to go with Marty with an amazing performance by Ernest Borgnine, and secondly by a farewell to arms. Don’t count Witness to the Prosecution, or The Ox Bow Incident short, both are awesome in their own right. I would love to have Witness For The Prosecution! 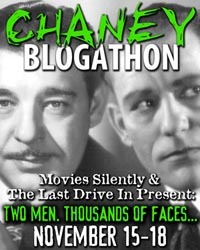 Power, Dietrich, and Laughton; what a combo! Hi Cheryl, I can’t seem to find your tweet. Please confirm that you tweeted or let me know if you don’t have a twitter account. Thanks. I’m going to say, I’d like to win WITNESS FOR THE PROSECUTION. I’ve not seen it, but I watched a bunch of Marlene Dietrich movies last year, and she is incredible in whatever she appears in. I would love to have The Ox-Bow Incident because I’m anxious to see this new 4K restoration. KL does amazing work with their Blu-rays and from what I hear this one is simply stunning. Plus, I love Henry Fonda! I’m so familiar with the other three (all terrific, BTW) that it would have to be “Witness For The Prosecution” for me. Old courtroom dramas are always so effective, it seems. I think that comes from the credibility of the actors – leading and supporting characters. Una O’connor, Elsa Lanchester (Mrs. Laughton, of course, in life), Henry Daniell all contribute realistic support to Laughton’s usual scene-stealing braggadccio. On this occasion, he makes it work, no doubt well-coached by the brilliant Wilder’s direction. He really knew how to get the best from giant egos with talent like Laughton and Dietrich, but also draw good, sympathetic performances from lesser talents like Power. And it’s written by Agatha Christie: what else could you want!?! Hi Peter, I can’t seem to find your tweet. Please confirm that you tweeted or let me know if you don’t have a twitter account. Thanks. I’d probably go with The Ox-Bow Incident (1943) because of Wellman. I would love to win Witness for the Prosecution. It’s a film my dad introduced to me when I was a kid. Thank you! I would love to win the Witness For the Prosecution blu-ray because I’ve never seen it, I’m a Billy Wilder fan, and I just recently saw Preminger’s contemporary Anatomy of a Murder for the first time. Directed & co-written by Billy Wilder, based on an Agatha Christie play starring Charles Laughton & Marlene Dietrich. Winning. I would like to win Witness for the Prosecution because I enjoy mysteries and old black and white movies. I also like the actors and actresses in the movie and Billy Wilder is a great director. Thanks!! I woul like to win A Farewell to Arms not only because it was a novel adapted to film but becauae Gary Cooper stars this film!!! And wouldn’t that be reason enough? Hi Alyanna, I can’t seem to find your tweet. Please confirm that you tweeted or let me know if you don’t have a twitter account. Thanks! The Ox Bow Incident. Great stuff! I would love to win A FAREWELL TO ARMS. I’m completely fascinated by Pre-Code cinema, films from the early part of film history based on then-recently-released novels, and films from iconic stars (in this case, Cooper) from before their images were cemented in pop culture (in the case of Cooper, this is years before MR. DEEDS and his everyman persona. Marty! 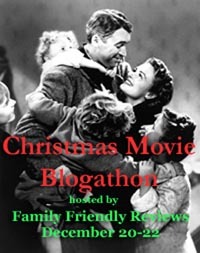 I love this movie and would enjoy watching it with my family! I honestly believe that some of the best movies ever made were way back when. I dont want to forget them I want to own them and share them with my loved ones. We should be celebrating them. 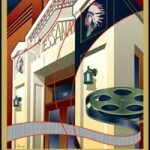 Without them cinema would not be what it is today!! Hi Sam, I can’t seem to find your tweet. Could you please confirm you tweeted or let me know if you don’t have a twitter account. Thanks! Witness for the prosecution. Why? Marlene!!!! I would love to win The Ox-Bow Incident (1943) as I’ve never actually seen it and I love classic westerns. 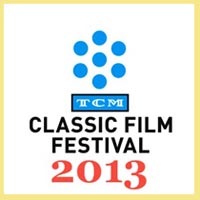 All of them are classic and I would love to win any of them. If I had choice I would pick “Witness for the prosecution” followed by “Marty”. Hi Babak, I can’t seem to find your tweet. Could you please confirm that you tweeted or let me know if you don’t have a twitter account. Thanks!